Despite the evolutions and changes in the way the world thinks about yachts, boats and vessels, the wood boat survives and has withstood the test of time. Wood construction is easily customized and offers unparalleled options. The raw materials are renewable and the construction technology is proven. 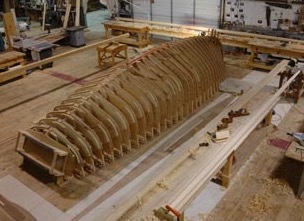 Wood boats are built of individual pieces that can be replaced with relatively easily available materials and for sheer beauty, wood has no competition. 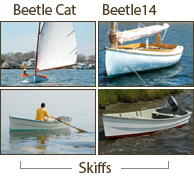 As an investment, wooden boats, properly maintained, can hold their own. Just as with the Beetle Cat, many have lasted for generations. We here at Beetle have a deep commitment to traditional wood construction techniques, we respond to the fragrance of wood shavings and the lure of salt water.